Description: Advanced Eye Care provides in-depth personalized eye care for the entire family. 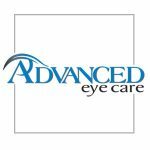 EYE CARE: Offering full scope of eye care from routine exams for glasses and all types of contact lenses, we specialize in the detection and treatment of many eye disorders including cataracts, glaucoma, macular degeneration and dry eye syndrome. In addition, we are a LASIK and iLASIK surgery provider. COSMETICS: We also offer a wide variety of cosmetic and aesthetic improvements including BOTOX Cosmetic, Juvéderm, Radiesse, Obagi Medical, Latisse, Refirme skin tightening, wrinkle reduction and laser skin rejuvenation and CoolSculpting.